Game changers like Hobie’s “pedalboard” and the Range of Motion Project are expanding the definition of fitness. Advances in fitness technology have allowed fitness-seekers to participate in activities they may have never dreamed possible. The stand-up paddleboard (SUP) craze was a game changer in the fitness market for those looking to recreate on the water while getting a solid workout, but some people never dared to step foot on such a vessel. Now some companies are making paddleboarding more user-friendly. The Hobie Mirage Pedalboard series changed the way consumers look at stand-up paddleboarding. The boards use a pedaling system with handlebars to allow users more stabilization and confidence. 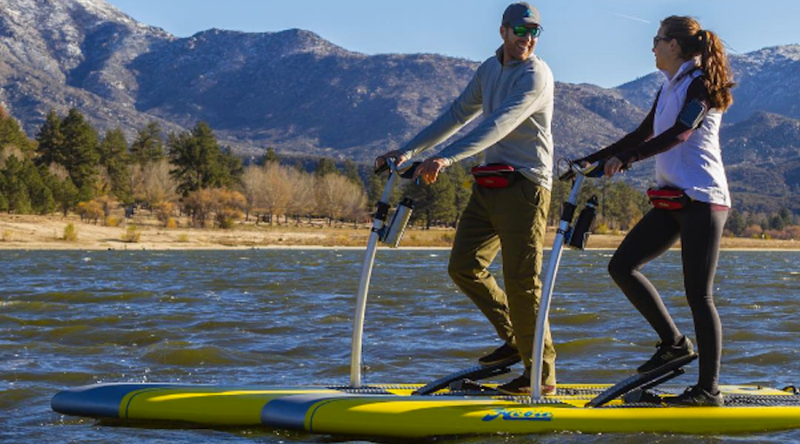 Hobie’s MirageDrive pedaling system changed kayak pedaling technology and they put the same system to the test for they SUPs. 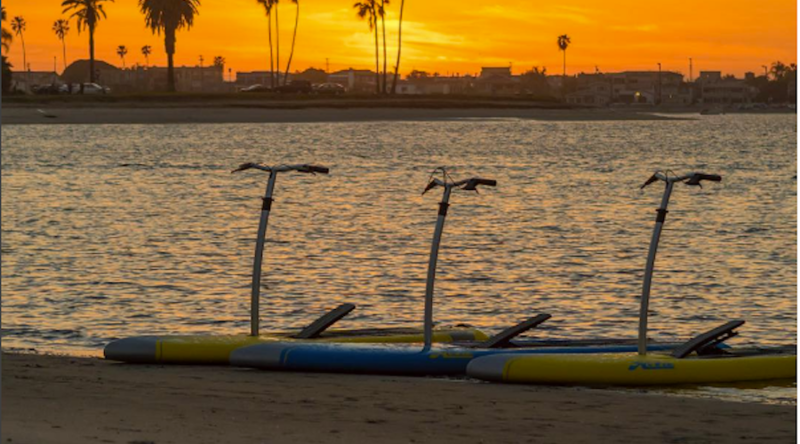 Hobie’s Mirage Eclipse was introduced last year and took the paddleboard market by storm. Ruth Triglia, senior vice president of sales at Hobie attributes the popularity of the pedalboard to the ease of use and stabilization. “There were many people that were attracted to the sport of paddleboarding, but found it intimidating because they didn’t have the balance or upper body strength,” Triglia said about the origin of the idea for pedalboards. She said Hobie wanted to close the gap and make paddleboarding available to everyone. The Hobie Mirage Eclipse levels the playing field for those that have not been able to keep up with their friends in the past while still offering a similar core workout. Handlebars allow the user to steer the craft using a system similar to bike brakes that control a rudder. The pedaling motion gives users a leg workout coupled with the core workout provided by SUPs. Lauren Panasewicz handles marketing and PR for ROMP. “Giving someone the use of their hand back for simple tasks like helping around the house and going back to work is incredible,” she said. ROMP is now able to use 3D printers to create missing extremities for patients. 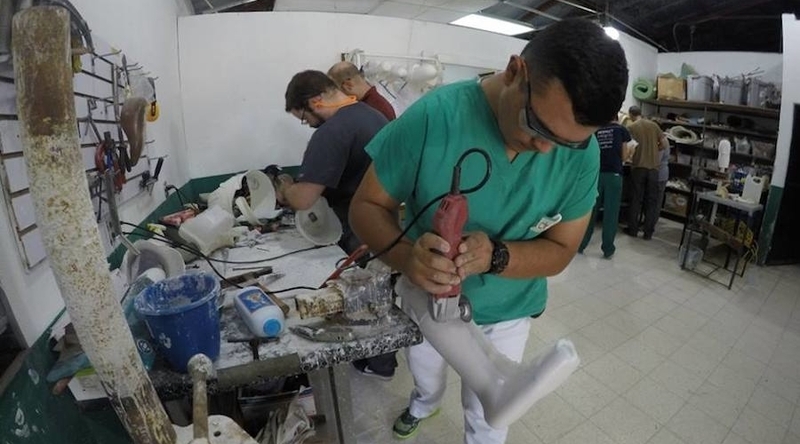 Partnered with technology company Psyonic, ROMP volunteers and doctors scan a patient’s limb and socket to create the perfect prosthetic fit for their lost extremity. The system then uses an Ipad that controls the scanning technology and sends information to a 3D printer. 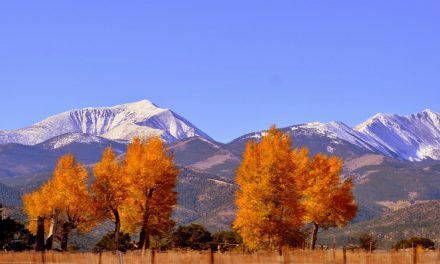 ROMP has athletes that have summited Mount Everest and some of the world’s highest peaks. 2017 marks the third annual Climbing for ROMP event to celebrate the Americans With Disabilities Act. 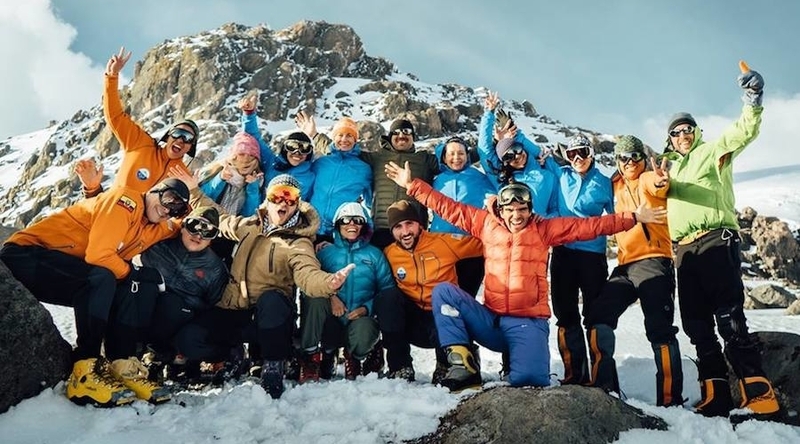 In the first two years, ROMP athletes participated in over 50 climbs globally and they do not plan to stop anytime soon. 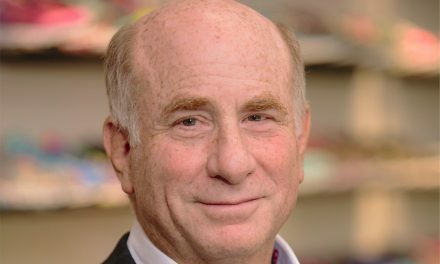 Panasewicz attributes ROMP’s success to these technological advances and the dedication of ROMP’s doctors, volunteers and athletes that have the ambition to conquer the highest mountains.